Is it fall yet?? 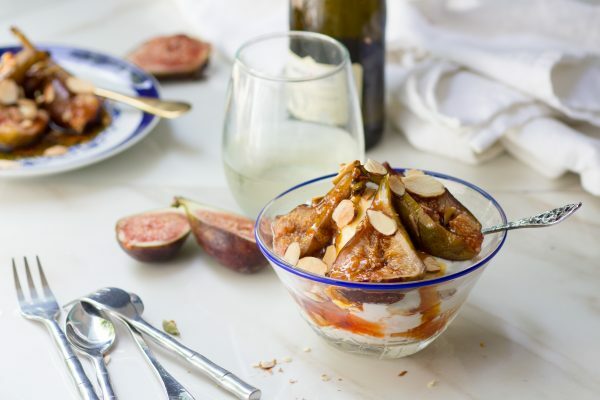 With a mouth full of these Poached Figs with Honey, Orange and Spices, it sure feels like it. 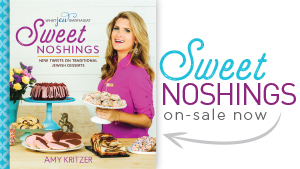 Yesterday was the official launch of Sweet Noshings Cookbook here in Austin! It was so wonderful. My friend/photographer extraordinaire Tim Kyle was on hand to videotape the whole thing, so I’ll make sure to share the video when it’s up. So when Ronnie sent me her latest cookbook, The Modern Kosher Kitchen, I just had to share a recipe with y’all. 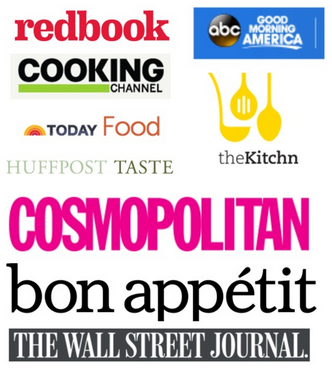 The book goes beyond traditional kosher and brings in flavors from around the world. Smoked Salmon Tartar Rounds with Horseradish Cream Cheese or Lamburgers in Pita with Lemon-Tahini Sauce appeals to the Jewish-food lover in me. While Thanksgiving Stuffing Soup (!) and Lemon-Oregano Stuffed Breast of Veal appeals to the food lover in me. 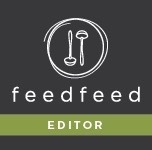 The recipes are fresh, and if you didn’t know it was a kosher cookbook, you wouldn’t even realize. It’s just full of food that’s modern and yummy. 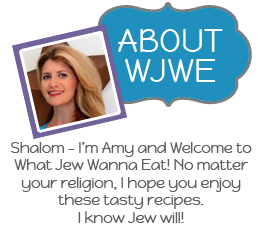 With Rosh Hashanah coming up (it will be October before you know it!) 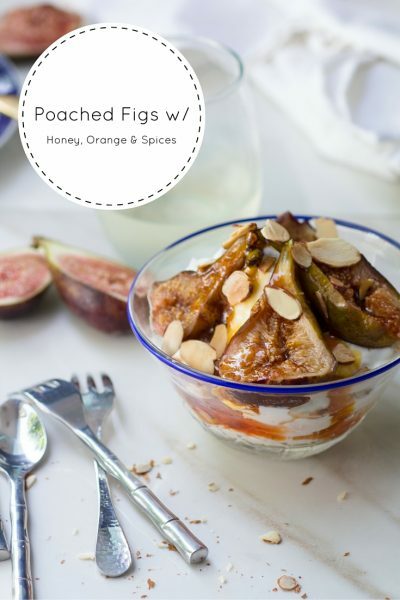 these poached figs were calling my name. 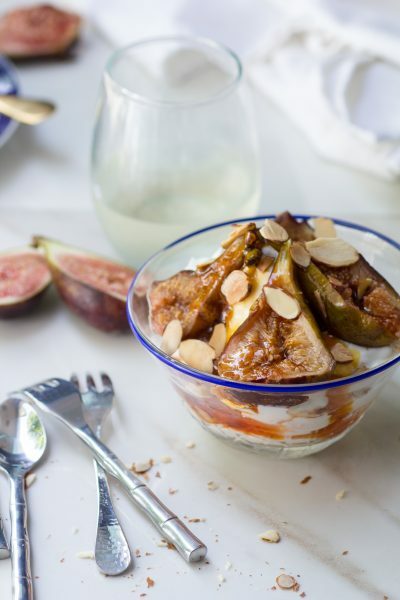 Figs are a “new fruit” traditionally eaten for the Jewish New Year, and I love how these are light enough for breakfast over yogurt, but decadent enough for dessert over ice cream. They are naturally parve, just the perfect amount of sweet, with a nice spice. 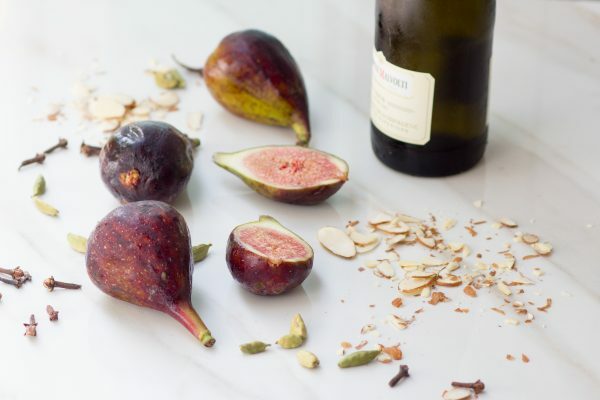 I suggest you make them today before fig season is over!!! Combine the wine, water, honey, cardamom pods, clover, peppercorns and orange peel in a saucepan over medium-high heat. Bring the liquid to a boil, reduce to a simmer, and cook for 15 minutes. Add the figs and simmer for about 10 minutes or until the fruit is tender but not soft or mushy. 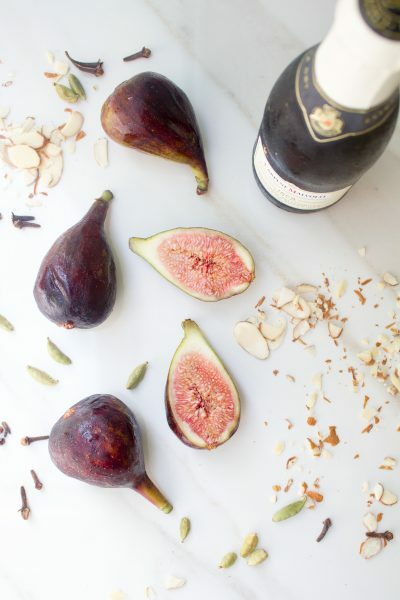 Remove the pan from the heat, remove the figs to a dish and let cool. Strain the liquid (discard the cardamom, clover, peppercorns, and orange peel) and pour the strained liquid back into the pan. Boil the liquid over high heat until it is syrupy. Let the syrup cool. 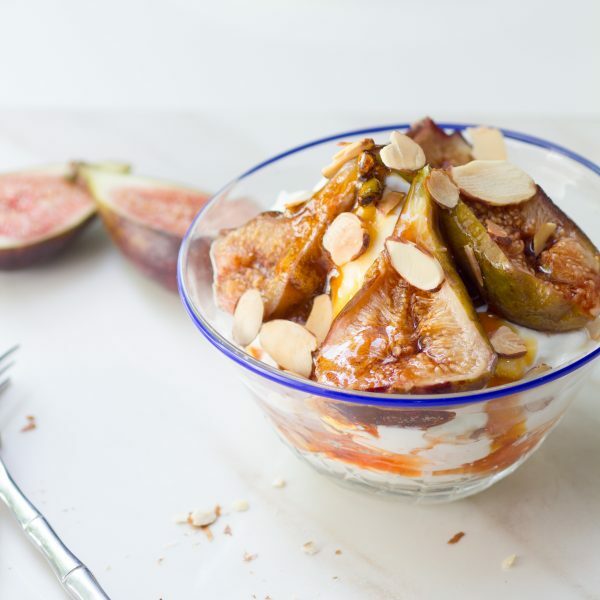 Cut the figs into quarters and place 8 pieces on each of the 4 dessert dishes. 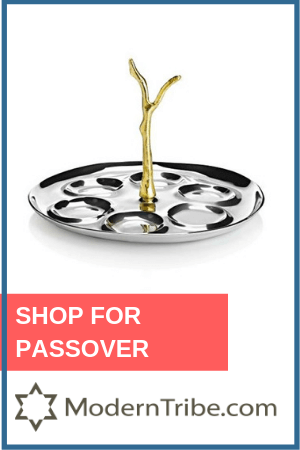 Reprinted with permission from The Modern Kosher Kitchen.